A utility jacket is undeniably one of those basic wardrobe pieces and a favourite of the style soldiers and is also a great staple piece for fall.With the slight dip in temperatures now you can get your jackets and blazers out. If camouflage prints are not your way then you can sport the military trend with a olive/army green jacket. 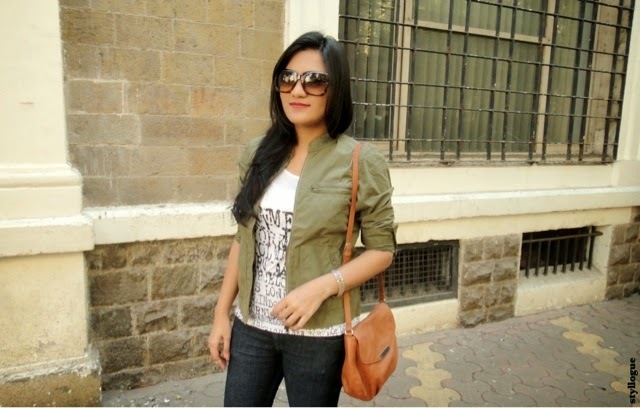 With this army green jacket you can go classic or be fashion forward. Whether in trend or not this particular style never goes out of fashion. 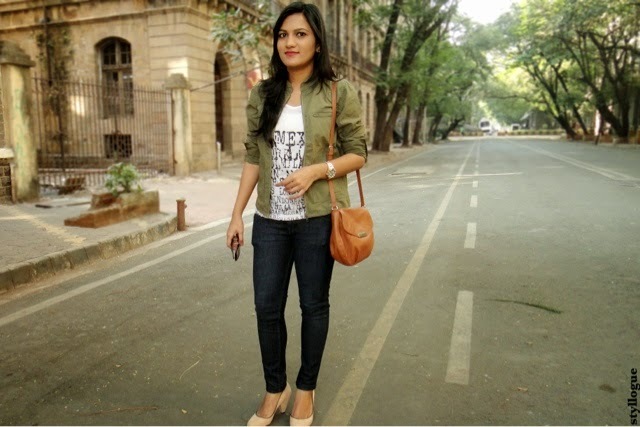 I added this light weight military jacket to my closet last fall.As you can see there is nothing feminine about the jacket like some jackets which are embellished …etc.Hence to soften up the look and make it more feminine I paired it with skinny denims.I personally think such utility jackets were made to give you an immensely casual and comfortable look.Nothing much needs to be done the jacket does everything for the outfit. Its a perfect layering piece for fall.If you are looking for sporting cammo/military trend you can even try cammo printed shirts.I have off lately spotted many cammo printed shirts in sheer,embellished,with spikes. 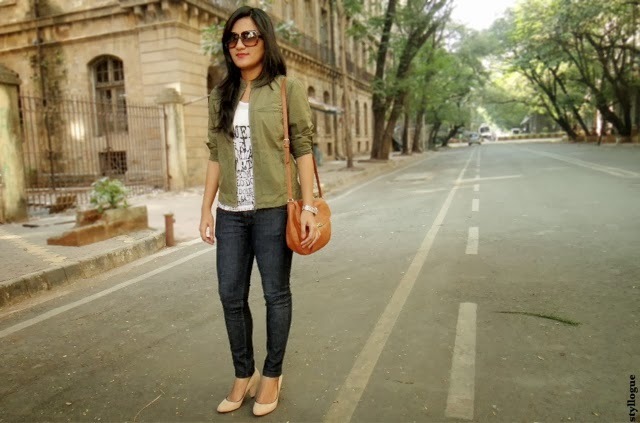 Do you have a military or army green jacket in your wardrobe if not you are missing a very versatile piece. 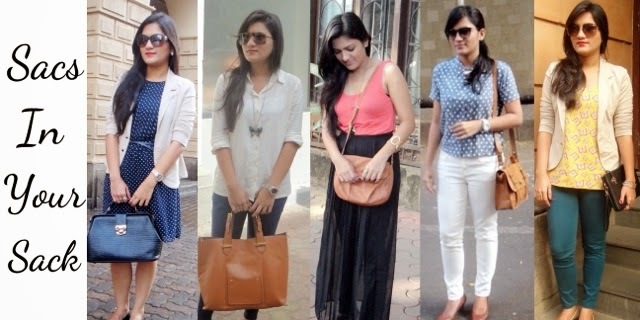 You can also check here different fall trends and various ways to incorporate hues of green in your wardrobe this fall. Thnks a lot Roshni..do keep visiting. Love the outfit. The shoes and the jacket are pure love! Thnk u soo much…Wish u also a very happy new year..